Today, VINN GmbH officially announces that it has become a Certified Partner with ASSA ABLOY Hospitality, a leading provider of locking and security technology systems and solutions. This certification confirms that the mobile access and door management systems developed by VINN fulfils the highest safety demands. Extensive and rigorous testing was done on the software products, such as the future-oriented app VINNcockpit. “We are very proud to be able to use ASSA ABLOY Hospitality’s quality mobile access solution within our app,” said Frank Gerhardt, Managing Director of VINN. “We believe this functionality is a very important step for the future”. The ASSA ABLOY Hospitality Mobile Access solution is applied within the app VINNcockpit. With the versatile app, not only the door system can be operated, it also saves individual settings, such as the preferred room temperature, and also offers some additional services such as check-in / check-out or room management. This wide range of features makes the app unique to the market. VINN is a professional company creating truly innovative IT solutions. 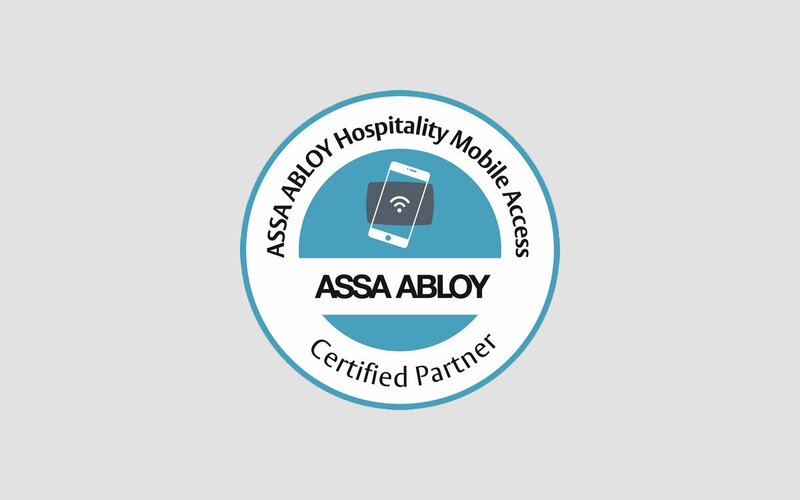 ASSA ABLOY Hospitality’s goal is to always bring innovative and like-minded companies, who share the same dedication to technological advancement and innovation, into the Certified Partner program. VINN GmbH, headquartered in Krefeld, Germany, has more than 15 years of experience in providing tailor-made technology solutions for the hotel-industry that enable all relevant applications in the company to integrate. The modular system forms the basis for consistently personalized guest management. Apart from the app VINNcockpit, VINN offers many other key pieces such as the WLAN-platform VINNconnect, VINNnetwork for intelligent network design, the efficient telephone systems VINNphone, the scalable module VINNtv, as well as the flexible communication tool VINNsignage.